+SPD: A boon in Speed is very important for Shigure’s overall survivability, as it gives him a wider scope in avoiding follow-up attacks. +ATK: Attack also makes for an acceptable choice, as it allows Shigure to be a better combatant by increasing his raw damage output. HP: Shigure prefers to keep his HP intact, as a bane hurts his survivability by taking away from his overall bulk. RES: Although raising it is not a priority, Shigure’s superboon in Resistance improves his ability to take magical damage as well as opening up the opportunity to use Ploy skills. -DEF: Defense is Shigure’s weakest stat and easiest to drop, as it hardly affects his overall performance. In addition to providing Dance support, this set aims to take advantage of Shigure’s status as a tome unit in order to give him additional combat utility through Weapon Triangle coverage. Since most combat is centered around Enemy Phase, Shigure enjoys a boon in Speed in order to better avoid follow-up attacks from high-tier Speed opponents. A boon in Attack is also acceptable, as it allows him to secure additional ORKOs by increasing his raw damage output. This can potentially be the deciding factor in his matchup against Brave Lyn. As for Specials, Moonbow is both potent and consistent in its activation with Shigure’s overall low stats across the board. At the cost of a longer cooldown, Luna makes for another choice of Special with even more power on activation. The key to this set is running Blárraven together with Triangle Adept. In addition to the massive Weapon Triangle advantage gained over colorless units, Shigure will also boost his effectiveness against red units even further. However, this comes at the cost of even weaker matchups against green units. For B skills, Bowbreaker makes for a fantastic choice by further cementing his favorable matchups against colorless archers. This combination allows him to effectively check prominent arena threats including but not limited to Brave Lyn, Bridal Cordelia, Winter Tharja and Halloween Jakob. Another great choice is Swordbreaker; due to sword units having higher Speed on average, Shigure will need it in order to consistently defeat them in a single round of combat by securing his follow-up attack. Finally, Wings of Mercy provides massive leverage as a team support by allowing him to warp adjacent to allies that are low on health. Drive Spd is both cheap and effective in providing solid buff support. Otherwise, the C slot can be replaced with whatever is needed to accommodate Shigure’s team. There are several good Sacred Seal options; Distant Def is a great choice for this set’s Enemy Phase oriented playstyle, as it will reduce damage taken from all ranged opponents when initiated on. Quick Riposte is another great choice that secures him additional ORKOs by ensuring his follow-up attack in the Enemy Phase. Finally, Speed +3 further improves Shigure’s ability to avoid follow-up attacks. This build aims to adopt a more offensive combat role with the use of a Blade tome. As such, Attack and Speed are once again the best natures for Shigure to take in order to boost his overall damage output. In addition to Attack and Speed, Resistance also makes for a suitable boon should one wish to utilize Ploy skills. Fury is a fantastic option for this set, as the boost it provides increases his damage output, overall bulk, and ability to effectively utilize Ploy skills. Alternatively, Death Blow is a strong choice in taking out opponents in only a single hit by giving Shigure a strong boost to his Attack on initiation. The choice of B skill depends on if one wants to focus more on Shigure’s role as a support or as a combatant. Once again, Wings of Mercy is a great choice that gives Shigure a massive boost to his mobility by allowing him to teleport adjacent to allies that are low on health. Similarly, Escape Route allows him to teleport adjacent to any ally when he himself is low on health. This pairs extremely well with this playstyle, as Shigure will often be in HP range after only a single round of combat. Lastly, Swordbreaker makes for a good combat-centric option by securing Shigure’s match-ups against high-tier Speed sword units such as Lucina, Mia, and Soleil. For his C skill, Shigure can potentially become an effective user of Ploy skills through a Resistance boon and further stat boosting skills such as Fury. In particular, Res Ploy can increase Shigure’s overall damage output while Spd Ploy can secure additional follow-up attacks should they land. Although his base Attack is rather underwhelming, the damage scaling property of Blade tomes allows Shigure consistently activate the Heavy Blade Seal. This greatly boosts his damage output by allowing him to activate his Specials more frequently. Otherwise, both Speed +3 and Attack +3 make for good picks in order to give Shigure a solid offensive stat boost. Thanks to his status as both a refresher and a tome user, Shigure can provide fantastic support to his team while maintaining himself in combat. This grants him a lot of utility in battle, as he can take on multiple roles such as a Weapon Triangle check or a Blade tome nuker in addition to his coveted Sing ability. Being both a refresher and a ranged unit comes with a massive downside. Shigure’s BST is bottom of the barrel at a staggeringly low value of only 139. This leaves him at a relatively low value in every stat. He is heavily outclassed offensively by a plethora of other mages and his overall bulk is lacking at best. Despite his shortcomings in pure combat ability, Shigure more than makes up for it thanks to his Sing ability. Overall, Shigure is distinctive in the support that he can provide to his team as a tome-welding refresher. His ability to take on multiple support roles at a time means that he can perform well on many different team compositions and will always be a strong asset to them. Not only does Shigure offer pivotal support by providing his teammates with an additional turn, he can also perform well in combat situations. Thanks to his class type, Shigure can take on a variety of different roles both offensive and defensive by utilizing weapons such as Blárblade and Blárraven. In addition to taking away from his standalone combat ability due to having overall fewer stats to allocate, Shigure’s pitiful 139 BST will serve as a detriment to scoring in Arena. As an extension of his low BST, Shigure’s terrible physical/magical soak of 55/59 makes him vulnerable to damage from all sources. As a refresher, Shigure is very flexible with his team options. His allies can include offensive, defensive, or even other support units. As a standalone unit, Shigure enjoys being paired up with bulky teammates that can tank hits while keeping him out of danger. This applies to both physically and magically bulky units. When utilizing a Blade tome, Shigure also benefits from allies that can provide him with Hone/Fortify buff support. Finally, Shigure enjoys red allies that can cover his Weapon Triangle disadvantage. Offensive: Offense-oriented such as Reinhardt, Cordelia, and Tana units greatly appreciate refresher support, as it allows them to either continue attacking or move out of enemy range. Defensive: Similarly, defensive units such as Lukas, Brave Ike, and Dorcas also enjoy another turn in order to move into more favorable positions. Bulky Units: Hector, Zelgius, Nowi, and Fallen Hardin are strong physical tanks while Julia, Lute, Sanaki, and Sheena are strong magical tanks. All of them are all fantastic allies, as they can tank hits while keeping Shigure safe. Buffers: Particularly when utilizing a Blade tome, Shigure enjoys buffers such as Eirika and Ephraim in order to bring out the weapon’s full damage potential. Strong Reds: Legendary Ike, Ryoma, Young Tiki, and Winter Tharja all perform well in checking both physical and magical reds that may pose a threat to Shigure. Strong attackers, both physical and magical will tear through Shigure’s sparse overall bulk. This is especially true for green units, as they have the Weapon Triangle advantage over him. In addition to this, units with high magical bulk can easily shrug off Shigure’s attacks due to his relatively underwhelming damage output. Last but not least, Shigure’s Raven tome set can be completely derailed should his opponent run the skill Cancel Affinity. Powerful Attackers: Both physical and magical attackers can blow through Shigure’s poor overall bulk. Standouts include Hector, Nino, Minerva, Raven, and WT-Olwen. Magically Bulky: Units such as Julia, Deirdre, Lute, Fallen Hardin, and Micaiah can all easily wall off Shigure’s attacks thanks to their high magical bulk. In addition to this, Julia and Deirdre can mitigate Shigure’s damage output even further by ignoring Hone/Fortify buffs that he receives when utilizing a Blade tome. Cancel Affinity: As opposed to any particular type of unit, Shigure’s Raven tome set can be completely negated by the skill Cancel Affinity. Common users include Brave Lyn, Bridal Cordelia, and Innes. PA!Shigure is a blue mage infantry refresher, and as a result he has access to the Blárserpent tome, which does not currently have a red or green variant. His infantry status also protects him from the inherent weakness to bows that Legendary Azura and Bridal Ninian have, though they can run this build as well. Stacking triple Distant Defense allows Shigure to be an effective answer to the large number of red and blue mages that populate the game. Shigure may not have the most stellar defenses, but any unit that is given +18 to both defensive stats will be able to take a hit. With an effective 39 DEF and 46 RES on enemy initiation, Shigure won't be getting OHKO'd often. 29 SPD is not ideal for doubles, especially since most of the opponents Shigure will be facing will be speedy mages. Quick Riposte ensures that he will double the current mage meta regardless of SPD. The Drive skills compliment the typical strategy of staying close enough to buff allies, but out of danger. Lastly, Shigure cannot tank physical damage nearly as effectively as magic damage, but his DEF is high enough to be able to survive at least a single fight per battle with a thief or archer. If there are no ranged units on the enemy team, then Shigure can simply be used to Sing for his allies. Shigure is a dancer unit, which is already AIDS enough. But I thought to myself, “how can I make this character even MORE stressful to fight in arena?” After spending way too much time testing, these are my results. Please note that this build is tailored VERY specific to my team, and results may vary. 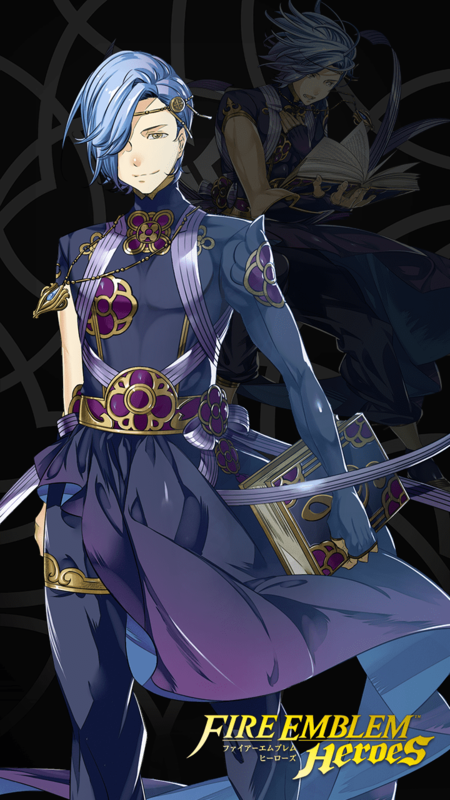 Shigure, being the handsome young man he is, is often targeted by archers and mages. Because he is a support/trashcan, he's never really made it within melee range. (because I've won so quickly) Blarserpent will add 6 def/res to his already monstrous def/res stats when he is attacked at range, making arrows and magic deflect off his steelcore abs. My Shigure has both a def and res of 24, meaning that he is damn-near unkillable by conventional means. On the off-chance that an attack is able to penetrate his insurmountable defensive stats and lower him to <80% hp, Brazen Def/Res will add 7 to both stats, essentially equipping him with Power Armor. This is heavy preference based, as I run him on a team of strikers that do not share the same invincibility traits as him. Geyser Dance will allow Shigure to buff the Ally he sings to, giving them a Terraria Ironskin Potion by boosting their Def/Res my a massive 4. Shigure is a man of action and refuses to sit idle. Infantry Rush will help him rally the other naked cowboys on the team and boosting the rate at which they get their Super by adding Heavy Blade to them. The game says that it doesn't stack, but the game also says that Shigure hides his identity, which simply isn't true. I thought the most annoying seal I could put on him would be something to further buff him and his goons, but I found that Panic Ploy was the best way to go. Any buffs that the enemy received from their turn will now be penalties, turning them into nothing more than the gum on the bottom of Shigure's tap dancing shoes. In the inconceivable event that the enemy is able to take down the 33 hp raid boss that is Shigure, the realization that he will survive with one health will cause enough mental anguish for them to surrender. Singing Shigure is one of my best Tome users. The fact that he's a dancer/singer who can buff Def and Res should be enough, but the fact that he can dish some great damage is a sight to behold. I put L&D on him because both his defensive stats are relatively worthless with how low they are, so it helps his semi-low speed and relatively good attack. If I don't need him to give an ally another turn, I can let him do some good damage to an enemy, maybe even take them out. All while giving damaged allies a whopping 21 health boost with double Breath of Life. Shigure was the first dancer I got, and I'll keep using him to the fullest because he is (imo) one of the best dancers in the game. Having a good tome color, good attack, sing, and overall great support. The introduction of Bridal Ninian has given Performing Shigure competition, as being a flier gives more a much needed than movement than infantry, despite having similar stats. Despite that, Shigure retains a viable niche as a Blue Singer that can refresh allies. The set above allows Shigure to be both a Red Check and a Bow Check, something Bridal Ninian cannot do; while also allowing him to be an effective " healer ". Sing is an amazing skill that grants an ally another turn, which is the main reason is viable at all. Dancer's Score+ ( +Def ) is preferred over Res to handle bow units better. Triangle Adept 3 gives greatly increases his damage output against Red units while reducing their damage output against him, which makes up for his mediocre defenses. Bowbreaker 3 is the crux of this set, allowing him to shut down bow users such as Brave Lyn very easily, which is the main reason Shigure stands out compared to Bridal Ninian. As for the C and S skills, Breath of Life 3 gives Shigure tremendous healing support, as both skills stack with his tome, effectively restoring 21 HP whenever he start to attack on player phase. The immense healing really enemy phase units such as Hector or Legendary Robin (F) more staying power. However one , if one finds 21 HP too excessive, the S slot can be replaced by something else, such as Distant Def 3 or Savage Blow. Distant Def 3 provides a Def against Distant weapon users such Tomes and Bows giving Shigure bulk during enemy phase. Savage Blow 3 chips away at adjacent enemies once Shigure props an Attack, making up for his mediocre offensive pressure. Dancer's ScoreIf unit initiates attack, adjacent allies recover 7 HP after combat. Dancer's Score+If unit initiates attack, adjacent allies recover 7 HP after combat. Geyser Dance 1If Sing or Dance is used, target also granted Def/Res+3. Geyser Dance 2If Sing or Dance is used, target also granted Def/Res+4.